What does Business Intelligence mean for mobile-social Retailer? Customers are the most important part of the equation for you as a retailer. Unless you have the precise business information of what your customers want or with a view that what you have is worth their while, then business wanes or declines. This doesn’t have to be a concern if you have business intelligence. Business intelligence starts with what you bring to the table from your own head, but it is much more. It is an analytical tool that you can arm your sales staff with. It makes available software applications, integrating analytic, customer-centric information your staff needs to make a sale with management of products. Customer service begins with the right information available to management, sales staff, and customer before the customer arrives on the scene. Store management can track inventory, amount of traffic, profit ratios, and asset support, made possible through an integrated retail system. Tracking a product is made transparent at every point along the chain from ordering to sale, from profit margin to customer purchase history, from placing it in inventory to tagging it as an item of interest in a customer’s profile, and from placing customer information on sales representative’s mobile devices to sending a related item in a customer email. The whole system is integrated without redundancy of work from a point of sale entry. When customers do arrive, information is waiting on them to merely express interest for a certain product. Customer service ends by analyzing a product’s impact on customer sales as well as measuring the store’s profitability has to be easily accomplished and quickly displayed for understanding. Graphic analytic dashboards portray significant ratios, trends, current status against past performance, and more. Through business intelligence, graphic visuals make information quick to notice and easy to read and understand. 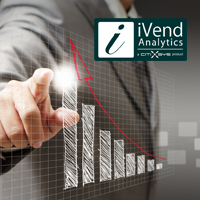 When analytical software yielding business intelligence is used, the following five principles are a given – with every customer. Customers respond well to Business intelligence from sales staff when they call up information on mobile devices while being helped. Inform customers of history of items bought. Assure customers that items are in stock. Schedule customers for a date of delivery. Customers interact with the sales people for only a limited number of minutes, sometimes seconds. So, once sales representative knows what interest customers have, they can engage customers. Give more than general information about a product to tip the scale for a sale. Add knowledge of a customer’s last purchase or general interest and deliver the sale. Know how to use a mobile device and show where to find a product on an app or browser to bring in off-site business. Customers show the loyalty when they are shown. This can be done in several ways. Give reward points at point of sale to help them accumulate points for future purchases. Offer incentives with gift cards, additional merchandise, and travel. Pique customers’ interests of new products and items related to last purchase through emails and text messages. Customers don’t always go to a store to buy. Now they have a virtual world at their fingertips. Business intelligence allows you to be where their fingertips go. Keep every product current with the keywords customers type into search engines. Optimize your website for easy browsing and easy purchase. Give them a place to show their satisfaction by “liking” their experience on your social media pages. Allow them to “follow” your products and sales events on social media. While customers appreciate stability, they have come to expect the next innovation on a regular basis. Business intelligence keeps them abreast of product development, instilling confidence in your company. Update your website regularly and frequently.. Highlight new products with interesting captions. Similarly, talking about how does BI help overcome business challenges, 74% of the respondents felt BI helped them improve promotion effectiveness. 73% said that BI helped them respond better and faster to changes in customer demand. 43% of the respondents feel that the Brick and Mortar selling channel gains the most for a BI solution, 37% feel that all channels gain from a BI solution and given that e-commerce and mobility are relatively new channels of sale – they tend to gain 14 and 6% respectively. Have a look at the video to know more about these retail challenges and ways to solve them. 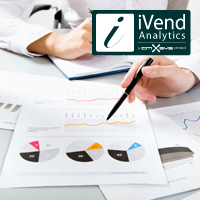 iVend Analytics is a set of pre-packaged, shrink wrapped Business Intelligence dashboards specifically for retailers. 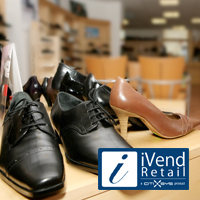 iVend Analytics integrates seamlessly into iVend Retail which is a complete Retail Management Suite and is being used by diverse retailers ranging from Electronic Stores, Apparel Retailers, Footwear, specialty, departmental stores and many more. One of questions that we are asked many a times is – what is the minimum threshold for a retailer to embrace a BI solution? Is the decision based number of stores, transactional volume, or a completely different parameter. Honestly, there is no fixed equation which would determine whether a retailer is BI ready or not. However if a retailer’s data is Diverse, Dynamic, Dense or any one of these, the retailer is BI ready. It is more than obvious that BI has now become an essential tool – in an integrated retail environment – for a retailer to be successful. In today’s global commercial environment, you have to believe that a visual merchandising promotion strategy is what is important in effecting increased profit margins through improved sales and staff throughput. But how well you can put the right visual merchandising display strategy in place can be daunting because the biggest role of providing the shoppers with an unforgettable experience takes skill to simplify components down to those details that are fundamental. Make no mistake that you must consider it a wise investment in expertise and resources for the use of best practice visual merchandising techniques to effectively deal with the challenges in retail. It is primarily about ‘the look and feel’ of the brand in store and for presenting products in the most effective ways that develop loyalty of customers. The constant manufacturing of brand-new products, inadequacy of shelf space, loss and prevention, conflicting interests of top management and the recurrent variation in consumer choices, all add to the challenging environment for visual merchandisers. In other words, the challenges in retail in relation to the dynamic characteristics of the target market, the changing and volatility of consumer behavior often times makes it increasingly difficult for visual merchandisers to maintain required clarity and consistency. This is what the art of branding is about, and it is as quintessential for environments as it is for products. The attention-grabbing store signs and displays. Providing product descriptions and promoting schemes like ‘Buy One Get One Free’ using eye-catching fonts. Recognizing the importance of integrated retail systems. Effective integration of advanced retail POS system technologies can help control costs and deliver concentrated operability to the business. Given the rapid pace of change within the retail ecosystem, it is essential all IT assets are tracked, monitored and managed in a seamless manner. Shopper engagement at POS. Good deals versus fostering relationships and knowing also where social media fits in and the tapping the power of crowd-sourcing to enhance product assortment. Effective loyalty systems. Delivering unmatched customer service to valued customers by being proactive and look for people in need of assistance and be a resource, can distinguish your business from the competition and fosters true and effective “relationship marketing“. Multichannel retailing. The advent of online stores and mobile technology with e-commerce and m-commerce are latest additions to the multichannel mix of mail order catalogues and bricks and mortar stores and are fresh and interesting avenues and benefit for retailers with more opportunities to get their product in front of customers whom they would not have been able to reach with a single channel. New innovations in retail sector. Retail innovation is about driving down costs and driving up spending. Whether it is inventory control or product mix; ecommerce or cost control, the retail sector should have the capacity to accommodate a sustained flow of pioneering products, innovative channels of delivery and ingenious ways of holding down costs to remain profitable in the most competitive consumer markets. More to these, visual merchandising is an extension of your store’s customer service. Even if you intend to stretch your retail process to web-based shopping, literally changing shoppers’ point-of sale environment, and regardless of any challenges in retail, that importance of your brand’s visual identity should not diminish. The goal is to project a pleasing and more charismatic image because visual merchandising is about customer loyalty, regardless of the point-of-sale environment. At the center of all commerce activities is the customer. The recessionary times of last year has made marketers realize in more ways than many that customer retention and a sizable share of his expenditure is equally important, if not more than going all out to acquire new customers. Today, Loyalty Programs are a norm even in non-consumer based industries like manufacturing, and non-profit organizations. The need to be closer to the customers, understand their buying pattern and offering customers a value for their money has prompted these diverse industry segments to seriously think and deploy customer retention strategies. Ensuring customer loyalty, enhancing it and effectively managing it is one of the most crucial factors impacting sales. It is no longer important to have a formal loyalty management application but it is equally imperative to move forward from the short term promotional campaigns to a well defined customer focused, relationship oriented programs.